That day of pitching your business to a panel of judges is just around the corner and I know how you are probably feeling. You are probably pitching for the first time, but don’t be nervous as this is an amazing opportunity! Grab it with both hands and of course try your very best to win! 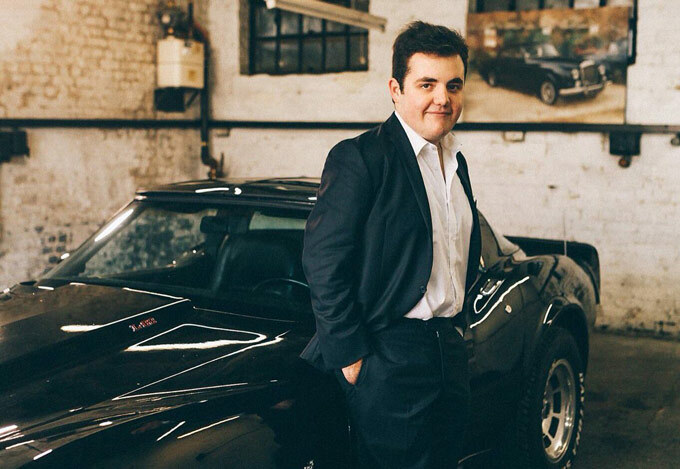 At 19 years old, I’m not that much older than you and I’ve run a couple of businesses before so thought I’d give you some tips and advice before you pitch your idea. But before I start, I thought I’d tell you a bit more about me. I left school aged 16 without many qualifications but still with the ambition to start my own business that I’d had ever since I was 6 years old when I used to make my mum and dad tea and coffee in the morning and charge them 20p a cup! I also ran a tuck shop at school, which was really exciting and I learnt a lot very early on. When I was 13, I launched my first proper business called Ollie’s Shop, which was an online gift shop for teenagers. Because I didn’t have any money at the time, I got in touch with ten different suppliers around the world and asked them to send me ten free samples in different colours so I could test their quality. Every single one of them responded and I found myself with 100 free samples! I sold them for £10 each and made £1,000! In the next six months, I made roughly £5,000 and that has since grown almost double every year. I started doing interviews with a number of media publications and a lot of young people began asking me how they could start their own business. So when I was 16 I launched my own magazine – The Budding Entrepreneur Magazine – to help inspire future entrepreneurs by providing inspiring stories. It grew to 50,000 readers in the first year and I was able to meet and connect with a number of high profile entrepreneurs. But most importantly, I was able to grow a database, which became large enough to help me with the next businesses I launched at The Shard last September – an entrepreneurs network called The Budding Entrepreneur Club. Up to and after the launch, we were featured all over the media which was a great feeling. As well as The Budding Entrepreneur Club, I launched The Budding Entrepreneur Academy to encourage young people to start their own companies. I have learnt a lot over the last few years. At school I was told I was a failure – but I want to tell you now that if somebody tells you, you can’t do something, it probably means they can’t do it themselves. If you’ve got a dream and a vision, you have to protect it, and if you want something, go and get it! Here are my top tips for you! Knowledge – I strongly recommend you research your market well, know exactly who your competitors are and how much they are making. If you can demonstrate this to the judges, I’m sure they will be impressed. Finance – Know your numbers. You will be surprised at how many entrepreneurs don’t know how much money they are going to make, how much money they have in the bank or key financial elements including net profit, gross profit, turnover, sales, tax, profit and loss etc. Mentor – Finding a mentor can be difficult but it will really help you take your idea forward and so I’d strongly encourage you to do this. Customers – Think about how you are going to interact with your customers once your idea has been taken to market. With the power of social media today, it’s quite easy to get your name out there. If you’re selling a product or service aimed at young people who are similar ages to you, you’re in a very good position because you will know what your audience wants and most importantly, how they interact with brands. Negotiation – When you are looking to buy products from your suppliers, always negotiate on the price. There is always room to ask for a better price and if they say they cannot then tell them you will go to someone else and they will most likely drop the price for you! Passion – Do something you love. Think about what is going to get you up and out of bed in the morning. Do something you enjoy and hopefully your dreams will come true! Long term relationships – I’m a great believer in building long term relationships. If someone mentions you or is willing to help you, build that relationship for the next year or even ten years. Keep in touch with everyone you meet as even though these people might not be able to help you right away, they could be useful contacts in the future. I wish you all the very best of luck and hope to meet some of you at Mosaic’s Enterprise Challenge Grand Final in May!